The Turkish Mechanical and Chemical Industry Company (MKEK) received a defense cooperation offer from Azerbaijan’s Ministry of Defense Industry, the company’s deputy head said, Anadolu agency reports. “In our meeting with the officials from the Ministry of Defense Industry, we [MKEK] received an offer to cooperate in long-term marketing and joint production activities. "I assume that we will launch a work on this,” the Deputy Chairman of MKEK, Arif Akgul, told Anadolu Agency on the sidelines of the 3rd Azerbaijan International Defense Exhibition (ADEX) in capital Baku. Pointing that the cooperation is on the table, Akgul said it would boost MKEK’s presence in Azerbaijan. He also said MKEK provided great support to the defense industry of Azerbaijan, exampling Turkish made sniper rifle in the inventory of the Azerbaijani Armed Forces. Noting that there are 35 factories under the Ministry of Defense Industry of Azerbaijan, Akgul said that the MKEK supports these factories with semi-finished and finished products. "We want to significantly move forward our relations with the Ministry of Defense Industry," he stressed. 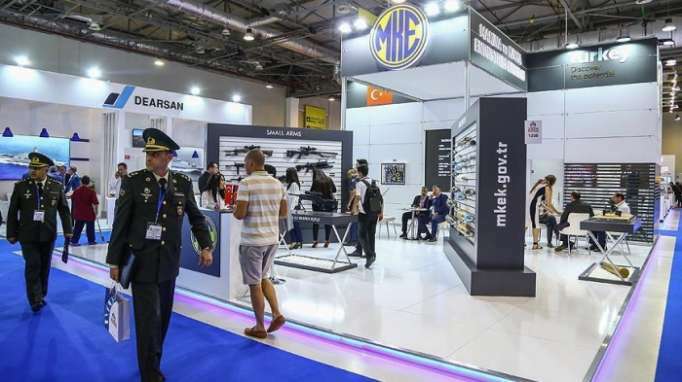 MKEK -- undertaking important responsibilities in the production of weapons, ammunition, explosives, machinery, equipment, and provisions -- introduced its' ammunition and weapons systems products at ADEX. The fair -- held between Sept. 25-27 -- was organized in coordination with Azerbaijan’s Ministry of Defense Industry. Around 40 Turkish companies attended ADEX and discussed building partnerships with Azerbaijani counterparts to develop defense industries, according to Akgul. The fair aimed to showcase the force and power of Azerbaijan’s military and industrial complex, as well as modern weaponry and equipment. The MKEK has been the main supplier of Turkish Armed Forces, under various names, since its establishment and gained its current legal status in 1950. The company -- staffed with 5,500 personnel and owning 10 modern factories -- not only serves the Turkish Armed Forces but also takes share in the International Defense Industry Market by exporting to more than 40 countries.